Christine is a member of the Class of 2021 and MU’s ASDA Blogmaster for the 2018-19 school year. Continue reading below to read her back-to-school blog post. As we enter the 2018-19 school year, I thought I would introduce myself, as well as the ASDA blog, to give our viewers a glimpse of what we’re all about and the fun things to look forward to this upcoming school year! 2. I competitively swam from the age of 7 up until senior year of high school. My favorite events were the 100 breaststroke and the 200 individual medley. 3. Although I was born and raised in the United States, I grew up in a Mandarin speaking household, so I am fluent in Mandarin Chinese. 4. I constantly have the travel bug! My dream vacations include the Maldives, Switzerland and Australia. 5. Currently, my favorite bur is the 330. 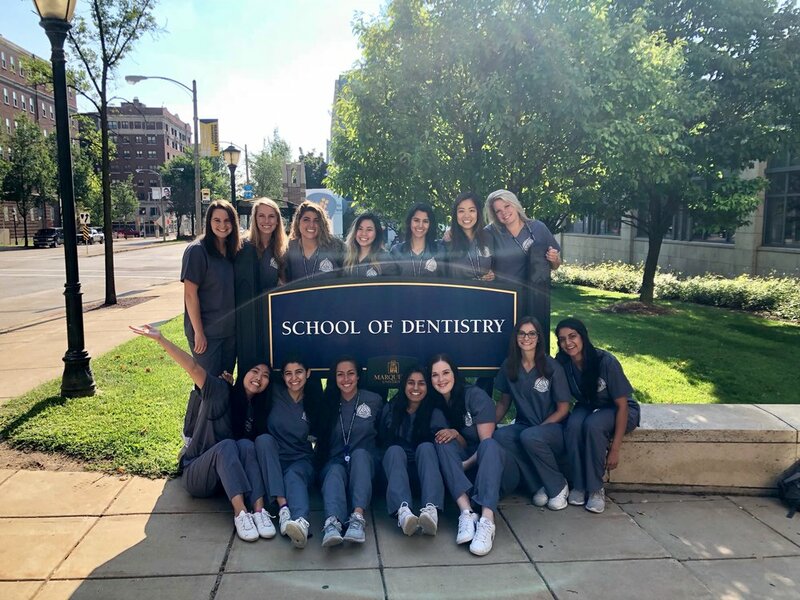 To give our new readers a quick synopsis- the Marquette University ASDA blog is an outlet for our members to creatively express their thoughts and reflections about events and other various topics that pertain to our everyday dental school lives. You may see reflections on national ASDA trips, tips on maintaining a healthy lifestyle, summaries of MuSOD events, member introductions and much more! There are so many exciting things to look forward to this upcoming school year and our MU ASDA members are extremely eager to share with our blog readers. As always, we are continuously striving to improve our blog. If you have any advice, comments or suggestions, please feel free to contact us. We sincerely appreciate your feedback! Welcome back to another fun-filled school year!